Why should you use reusable nappies? Why should you choose TotsBots? What advice do parents give on using and choosing reusable nappies? 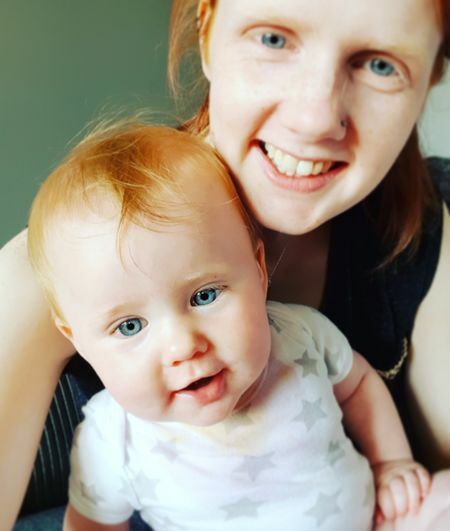 We chatted to Jenny when she came in to take part in our Real Parents on Real Nappies feature, and she gave us her answers to these common questions. Jenny tells you her reusable nappy story, explains all about why she started using reusable nappies, why she chose TotsBots for Fern plus gives you her advice if you’re considering using cloth. ‘’We initially started to use cloth because of how gentle they are on Fern’s skin.’’ With Fern having allergies, her skin was quickly becoming irritated by disposable nappies. So Jenny did some research into what alternatives are out there and soon made the switch to reusable nappies, and would never use anything else now. Disposable nappies are full of plasticky materials and harsh chemicals, our reusable nappies are made from super soft materials and are 100% Oeko-tex certified meaning there are absolutely no harmful chemicals next to your babies skin. ’TotsBots have made our cloth journey so far super easy! Their website had everything we needed to know about starting to use cloth and made it extremely easy to choose our nappies. When they arrived, I felt confident enough to start using them straight away thanks to all of the advice I’d found on the website.’’ This makes us so happy to hear! We work so hard to bring you all the information you need to help you with your reusable nappy research. There’s a lot out there and it can be overwhelming, before you know it you’re down a cloth nappy wormhole and you’re going round in circles, what’s a liner, what’s a booster…if that’s you right now, STOP, take a read of our simple guide ‘Why Cloth?’ and watch our short simple videos, we’re sure that just like Jenny, you’ll find all the information you need! Wow, Thanks for such great advice Jenny and for taking the time to come in and share how you got started with reusable nappies. Hopefully, you’ll take Jenny’s advice and just go for it! Like her, we know you won’t regret it. The only question left now is which print will you choose first?